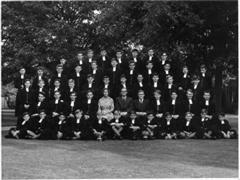 A house photo of Barnes B from the summer of 1961. 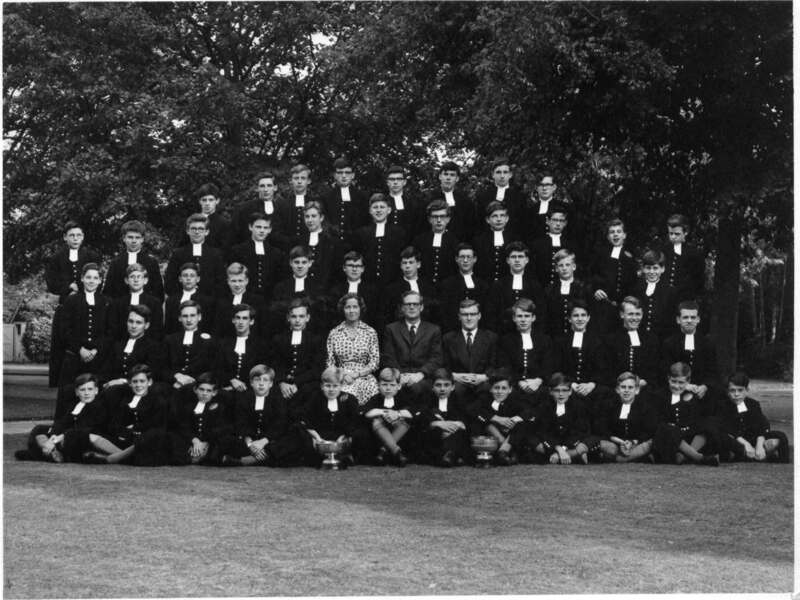 House photo of Barnes A from the summer of 1973. L â€“ R Back Row (standing) â€“ Andy Howgego, Mike Beecher, Kevin Rich, Mark Whitehead, Simon Banks, Colin Nesbeth, Peter Millington, James Ockwell, Frank McDaid, David Fuller, Chris Baile, Philip Glare. 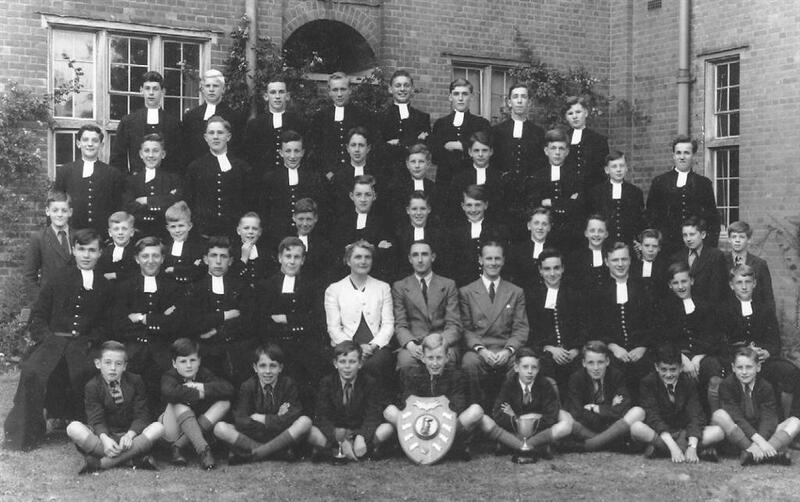 Seated â€“ Neil Scott, Mike Hiard, Geoff Foers, Caroline Wiegerinck (assistant matron), Bob Sillett, Elly van Alphen (matron), Roger Martin, ? , Andy Ormanroyd, David Angel, Craig Plummer, ? Dickinson. One missing Christian name, one unsure spelling and Iâ€™m afraid I still canâ€™t remember the name of the other assistant matron, but weâ€™re getting thereâ€¦â€¦.. If anyone can fill in the gaps, that would be great. Last edited by jtaylor on Mon Oct 31, 2005 9:44 pm, edited 3 times in total. OK OK, I'm an idiot....now corrected! 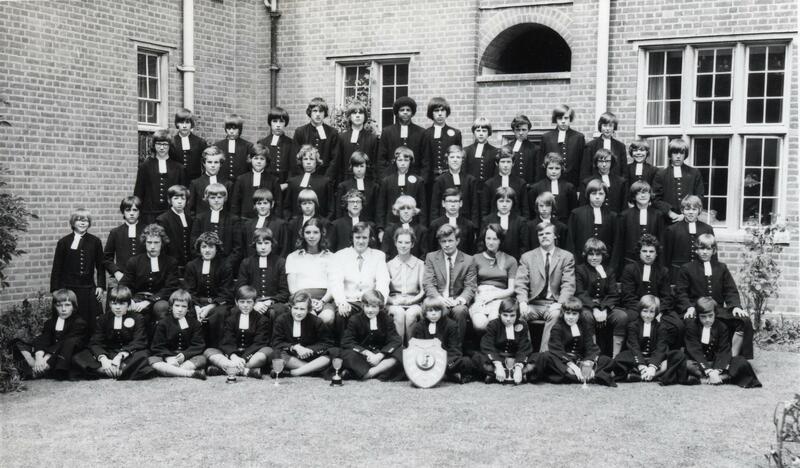 Updated with more names from Richard R.
Will you just look at the length of the hair in the 1971 photo ! Was there a 'barbers-strike' during this time ? J.R. wrote: Will you just look at the length of the hair in the 1971 photo ! If you think that's bad, you should have seen the seniors at that time! Also think Mullinar is the one and same person who was my Nurse-Maid in Prep B.
I might be wrong on some of these but Mullinar probably was your Nurse Maid and is now working in London, I got in touch with him via Friends Reunited. Band members were on Bass Drum, Ledeboer, "Joe" Curtis (so named after his brother whose number I inherited), both Brights and Cade, Geoff Neuss (clarinet) and YT (trombone). Bright and White were named the Star Spangled Sisters by Bill Kirby. Lamb and Major were at the recent Old Blues Day, heavily disguised,. Geoiff Bostock lives in France, Geoff Stearn in Australia (I think), others have also gone global. Mike Roberts will get his name in the Old Blue, for something I can't remember but he wrote to me,. I was swab to Launcefield (Trades Monitor) and study swab to Robbins, much better than doing trades and you got paid for doing relatively little. I also got to make toast for myself when Robbins was out of the study. My friend Al Zheimer has just arrived so I will stop. 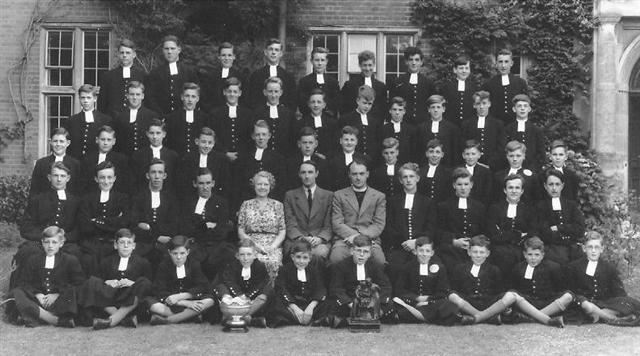 A House photograph of Barnes B taken in 1949. Last edited by John Knight on Mon Jun 18, 2007 2:10 pm, edited 2 times in total. Last edited by John Knight on Thu Apr 28, 2011 9:22 am, edited 10 times in total. Pictures edited to add links to bigger version (at John's request) + hosted on the CH forum site to speed-up download. May I pose a question ? Why are some of the more 'junior' lads in what I would term, summer-flannel dress ?